Description: A white PVC helix embedded in flexible grey PVC. An extremely flexible all PAC self-extinguishing ducting to UL94 V2. Application: Suitable for use in applications with confined access, it has good abrasion resistance and is suitable for shot recovery, wood chippings, sawdust and dust and fume extraction. A versatile ducting. 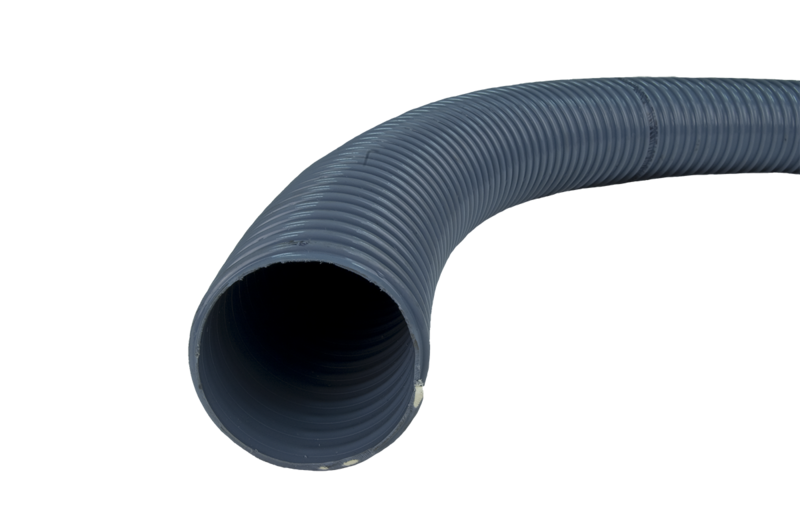 Advantages: Smooth bore, corrugated cover - the ducting retains its full diameter even in tight bending radii.